Copyright © JF Carpentier 2007 - This image is copyrighted. Unauthorized reproduction prohibited. 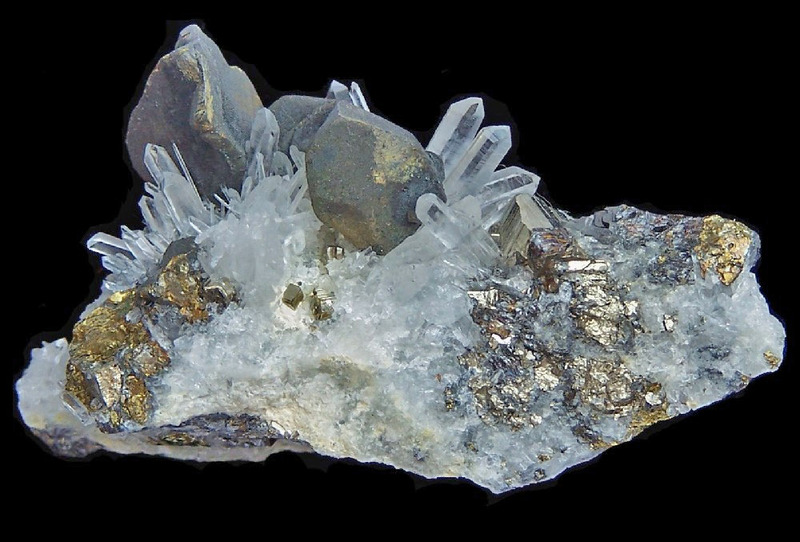 Chalcopyrite crystals (up to 15 mm), partly tarnished, surrounded by small sharp crystals of Quartz (overall 5.5 x 3.5 x 2.0 cm). JF Carpentier specimen (#00024) and photograph.